Contractors insurance is the bedrock of your risk management strategy. This type of insurance combines workers compensation and general liability coverage. Worker’s compensation provides medical care and income, which replaces loss wages to injured workers. General liability protects you from claims by a third party like your customers. This protection covers bodily injury, property damage, personal injury and advertising injury. Exclusions include all the incidents that are not covered by your policy. Exclusions are usually listed on the front or second page of your contractors insurance policy. However, these exclusions are cataloged by number not name. Using numbers for exclusion makes it difficult for you to discern what the exclusions are and how that effects the claims process. 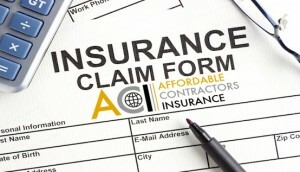 Affordable Contractors Insurance ACI agents focus exclusively on the construction industry. These agents understand in depth the needs of contractors. Our agents can explain what the numbers stand for. ACI agents can also determine which exclusions are unneeded, and which items need to be included in your policy. The policy period in contractors insurance begins from the day it is activated and ends when the policy expires. If you purchase extended coverage, you will be covered for sixty day after your policy expires. That means if a claim is filed during that sixty-day window, that claim will be honored, and you won’t have to pay out of pocket for the amount of the claim. One way insurers rate your company for contractors insurance is by using letters. Your business for insurance purposes are labeled ABCD. “A” is the highest rating. Any rating below “B” is considered unsatisfactory. If you get a “C” rating, it may prevent you from getting a bid.The rating is generated based on the amount of claims that you have filed. If you have filed more claims than similar companies, that will be reflected in your rating. Statistics show that less or no claims are filed against contractors insurance in the first year and that in the following years the claims rate climbs. Because it costs the insurance company more money to insure a business in the following years, insurers have built in step increases. Step increases mean that each succeeding year the cost of your premium will be higher. Understanding how much these increases cost, helps you to budget better for the future. It also important that you compare the different companies’ increases to get an affordable rate. Sub-contractors are usually not covered by your contractors insurance. Sub-contractors need to have their own insurance. The insurance that he gets should have the same limits that yours does. If you have a limit of one million dollars, your subcontractor should have the same amount of coverage. You should verify the information with the sub-contractor’s insurancet. Verifying your sub-contractor’s insurance is something you should do before hiring him. Understanding what the terms of your contractors insurance is crucial.You need to have your agent explain what the terms mean when.you purchase the policy. You don’t want to discover when you file a claim, and it is rejected.